Please help support the charities that were closest to Jerry’s heart. The Grateful Dead were always known for generosity and the performance of numerous benefits. In the fall of 1983, the Rex Foundation was established as a non-profit charitable organization by members of the Grateful Dead and friends to further this tradition. The Jerry Garcia Foundation supports meaningful causes through the beauty of art and music. 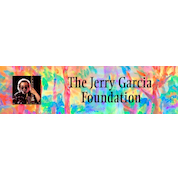 The Foundation was established in 2015 as an expression of gratitude by family members, Manasha and Keelin Garcia in honor of musician, artist, and visionary Jerry Garcia. 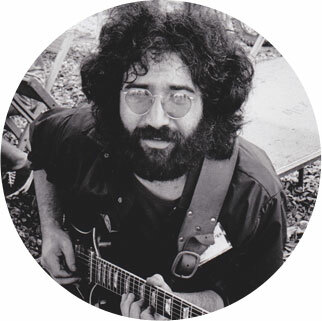 Staying true to Jerry's vision, we embrace the idea that music and art bring great healing to the world. The Homeless Prenatal Program (HPP) is an award-winning San Francisco Family Resource Center. For more than 23 years, HPP has provided poor and homeless families the ability to end childhood poverty. Since 1978, Seva has been a leading innovator in the delivery of vital eye care and diabetes prevention services to the world’s most vulnerable including women, children, and indigenous peoples. For nearly 20 years, the Furthur Foundation has been giving money to progressive groups working on environmental and social change issues in the Bay Area and around the world. PATH is an international nonprofit organization that transforms global health through innovation. We take an entrepreneurial approach to developing and delivering high-impact, low-cost solutions, from lifesaving vaccines and devices to collaborative programs with communities. MSF provides independent, impartial assistance in more than 60 countries to people whose survival is threatened by violence, neglect, or catastrophe, primarily due to armed conflict, epidemics, malnutrition, exclusion from health care, or natural disasters. MSF provides independent, impartial assistance to those most in need. For over 35 years, kids (and adults) have run away to join our circus in the rolling foothills of beautiful Mendocino County in Northern California.